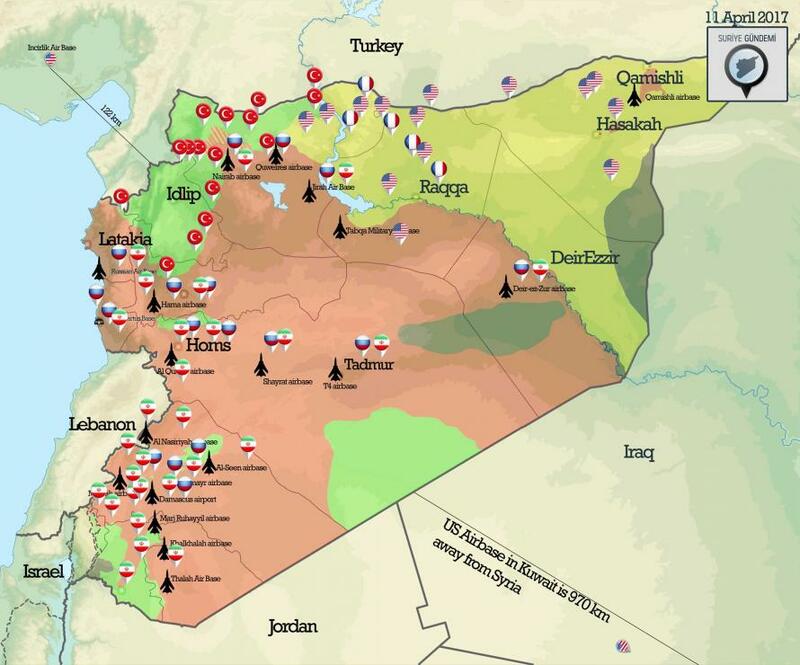 With war likely set to break out in Syria at any moment, a question many Americans are asking is... where is Syria? 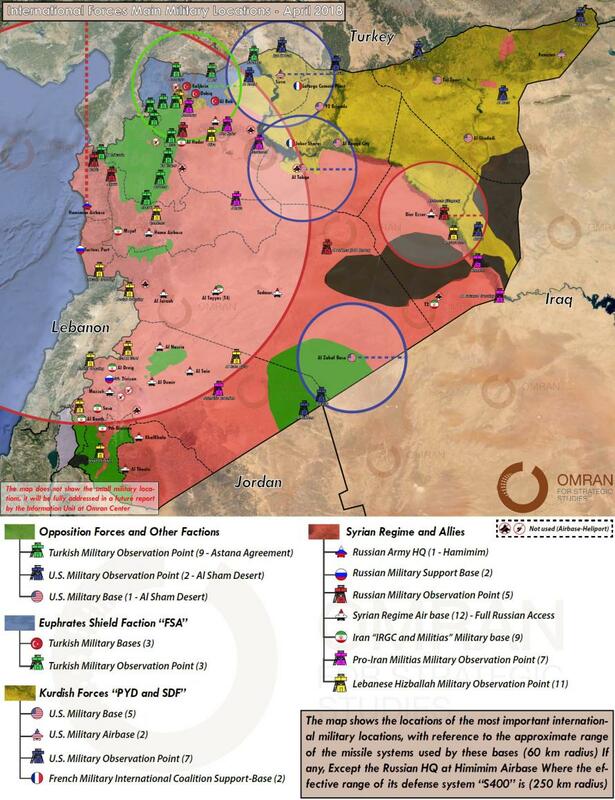 Geographical challenges aside, it is safe to say that the situation in Syria is extremely fluid, and changing on an almost daily basis, which is why we have shown several strategic and tactical snapshot maps of Syria as of this moment. 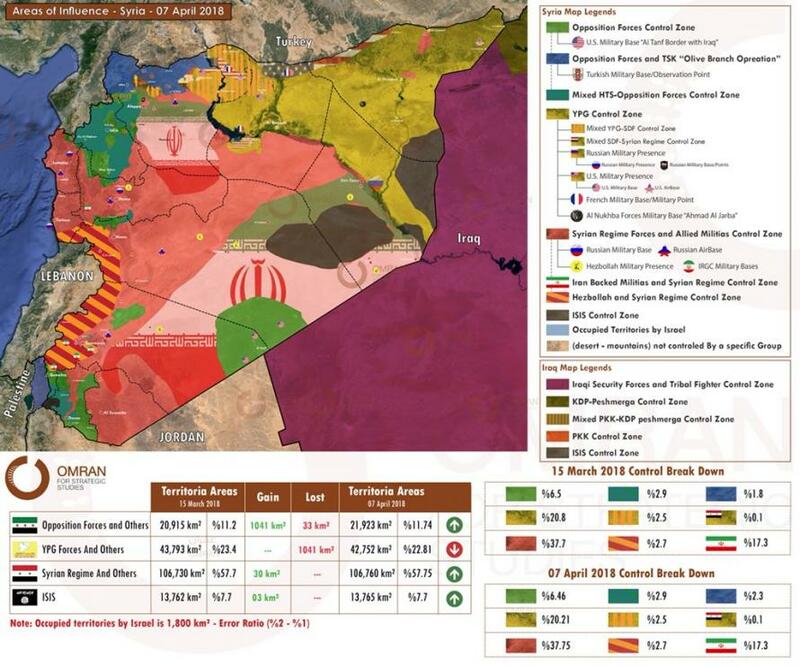 The first and most useful one, courtesy of Turkey's Omran Dirasat think tank, shows updated areas of control and influence in Syria by international military forces with reference to the most prominent international military sites in Syria.